At 11:40 pm, on the night of April 14, 1912, two men were sitting up in the crow’s nest of the RMS Titanic. The weather was freezing cold, and despite the fact they had on thick coats, the freezing cold air cut through them both like knives. Suddenly, out of the darkness, Frederick Fleet saw something out in the distance, and he squinted his eyes a moment before the cold hard realization hit him that he was seeing an iceberg. Grabbing the bell, Fleet ran it three times, and then grabbed the phone to let someone know on the bridge that trouble was up ahead. When the bridge finally answered, Lee told them what was problem, but the officer on the bridge, First Officer William Murdoch reversed the engines and tried to turn out of the way, but it was too late, and the RMS Titanic was sinking. Despite their best efforts, Fleet and Lee were not able to save the Titanic from a terrible fate. 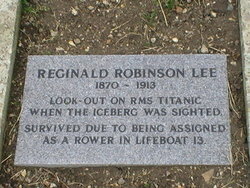 Very little is actually known about Reginald Robinson Lee because he did not live for very long, and actually in 1913, a little over one year from the time that the Titanic sank. Reginald Robinson Lee was born on May 19, 1870 in Benson, England. Lee was the oldest child of William, and his wife Jane Sarah Quilter. The Lee’s had a total of five children, Herbert was the second son, and then there were three more daughter born named Irene, Leonie, and Marion. 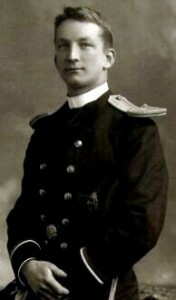 Reginald Lee served in the British Royal Navy, and after his service to the crown, he joined the White Star Line as a lookout on the RMS Olympic. Lee served on the Olympic until the Titanic was ready to sail, and then Lee transferred from one sister to another. 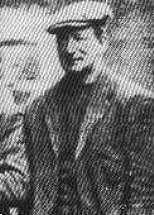 There were many lookouts that were employed by White Star to serve on Titanic, and his partner up in the crow’s nest was Frederick Fleet. On the night of April 14, 1912, Frederick Fleet and Reginald Lee were assigned to be on watch up in the Titanic’s crow’s nest beginning at 10 p.m. The temperature outside had gone below freezing, and up high in the crow’s nest, the two young men were shivering as they kept their gaze fixed on the horizon. For the next hour and a little over a half, the two men chatted lightly, but kept a sharp eye out for growlers like they had been instructed from the bridge. There were many circumstances that were against every crew member that night, and the lookouts had no moon to help them see by, and what little light they had was from the starry sky, which of course, was not enough to see anything. Another factor against the two young men was the fact that the air was very still. Usually, on the sea, a slight breeze can disturb the surface of the water. If there are objects in the water, like icebergs, then the wind can cause the water to make white foam appear around the bottom. Even with very little light, the bright white foam can easily be spotted, but that was not the case on the night the Titanic sank. With the air being so still, Fleet and Lee had no help at all from the natural elements, and at 11:40, when Fleet saw that some of the stars were blocked out by a giant object, he rang the bell, but it was too late. The Titanic scraped against iceberg, and she was given less than two hours to live. When the senior officers of the Titanic began filling lifeboats, they asked crew members to take command of each small vessel. Both Frederick Fleet and Reginald Lee were asked to help with the rowing situation. Lee was put in charge of lifeboats number 13, which was lowered down the side of the sinking ship around 1:30 in the morning. Once the survivors were rescued by the Carpathia, and taken to New York City, Reginald Lee testified at the inquiry about the Titanic that the Board of Trade had, but Lee’s health was not that great. Reginald Robinson Lee died on August 6, 1913 from pneumonia at the age of 41.